The 2016 Presidential Election has been a long, hard-fought battle, but Americans are coming out on the other side. With polling places closed and total votes tabulated, Americans have a much clearer idea of just how candidates stacked up in the race. Green Party candidate Jill Stein's total popular votes were approximately 1,200,000 as of Wednesday afternoon. According to Time magazine, Stein hoped 5 percent of the vote on Election Day would go in her favor, which did not come to pass. Despite low polling numbers, Stein's ballot access in 45 states and the ability for a write-in vote in Georgia, North Carolina, and Indiana were a victory for the persistent candidate. In fact, her 2016 voter percentage is significantly better than her 2012 results. 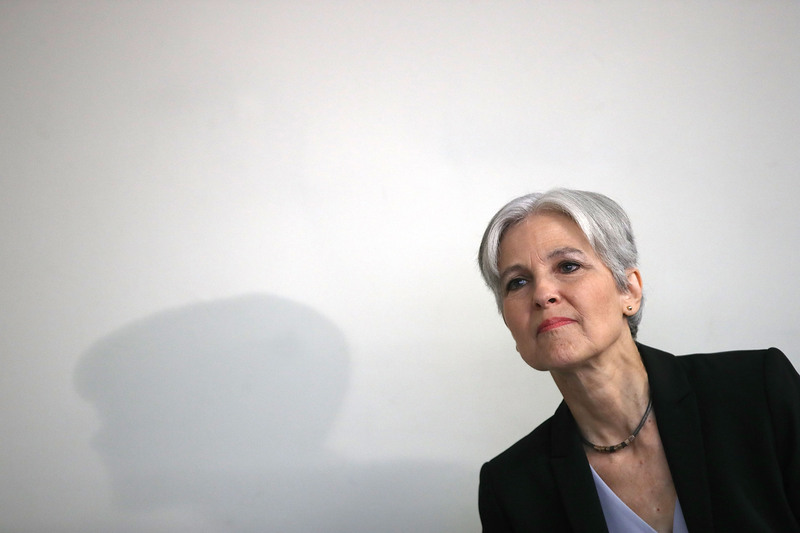 Even without qualifying for the debate stage during the election, Stein was commonly cited as an option for voters seeking third party alternatives to candidates Donald Trump and Hillary Clinton. While Stein did struggle at some points during the 2016 campaign to gain publicity for her campaign, this election cycle presented a unique opportunity to Stein to grow her total number of votes from the 2012 election. With interest in third party candidates high, the candidate was in a unique position to gain more notoriety. Following the final debate between candidates Trump and Clinton, Stein hosted her own debate in which she answered the same question posed to candidates Trump and Clinton. While she did also appear at the Sept. 26 debate at Hofstra University prepared to answer questions, the candidate was escorted from the debate location due to a lack of credentials, as CNN reported. Stein's struggle for name recognition did improve from 2012. In most recent news prior to the Nov. 8 election, Stein was named among some celebrities as their candidate of choice. Susan Sarandon's letter to the Stein campaign and previous comments regarding Hillary Clinton's candidacy made headlines after Sarandon's previous support of Sen. Bernie Sanders. However, it seems that Sarandon's support for Stein couldn't launch the Green party candidate to the White House or even help her garner some Electoral College votes.